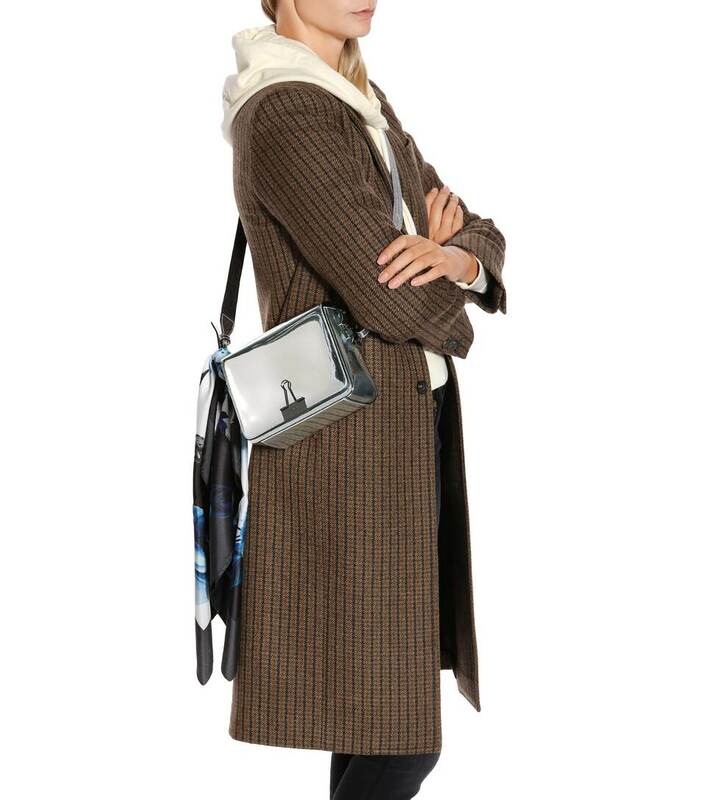 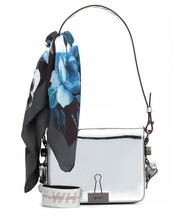 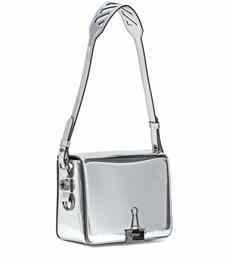 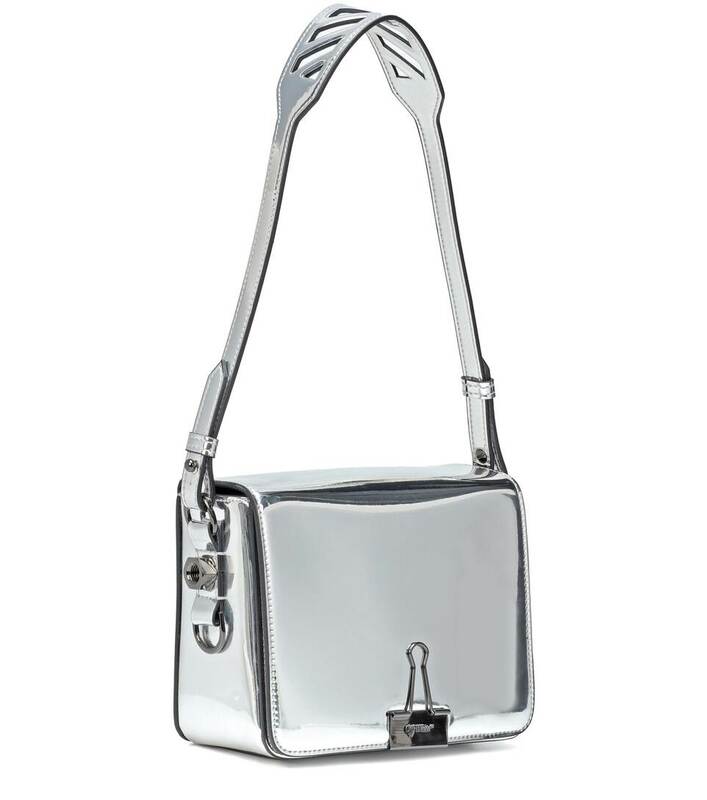 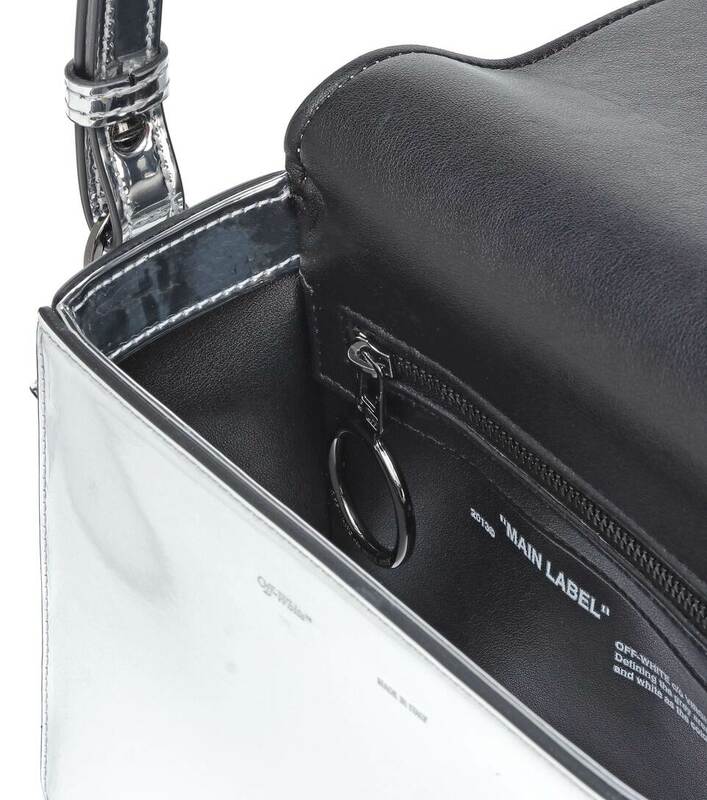 Off-White's signature Binder Clip shoulder bag comes rendered in a smooth silver-foil finish with coordinating hardware. 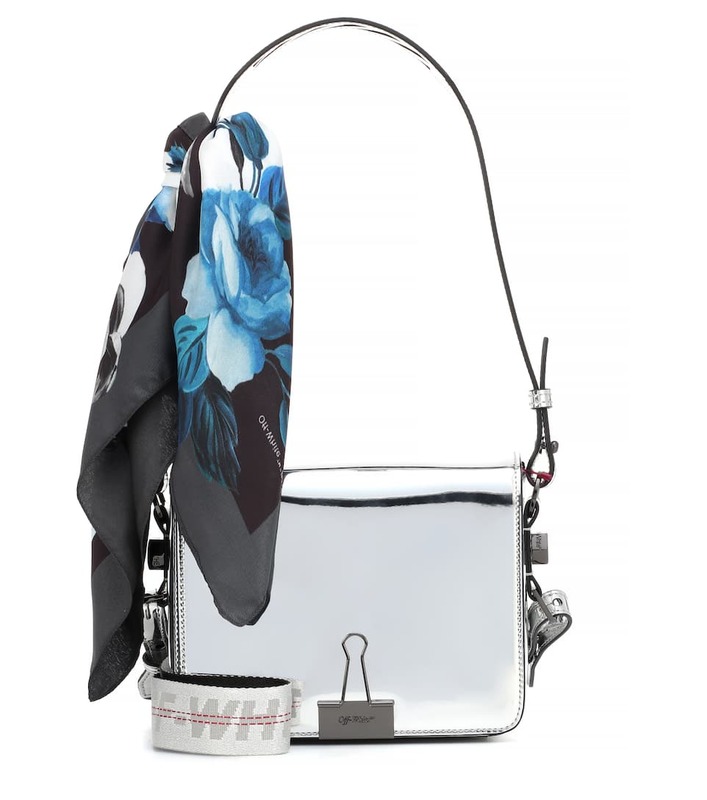 The compact silhouette can be worn over the shoulder with its graphically cut-out strap, or carried crossbody using the detachable strap working the label's hallmark industrial-inspired branding. 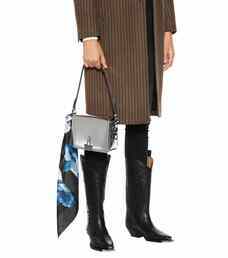 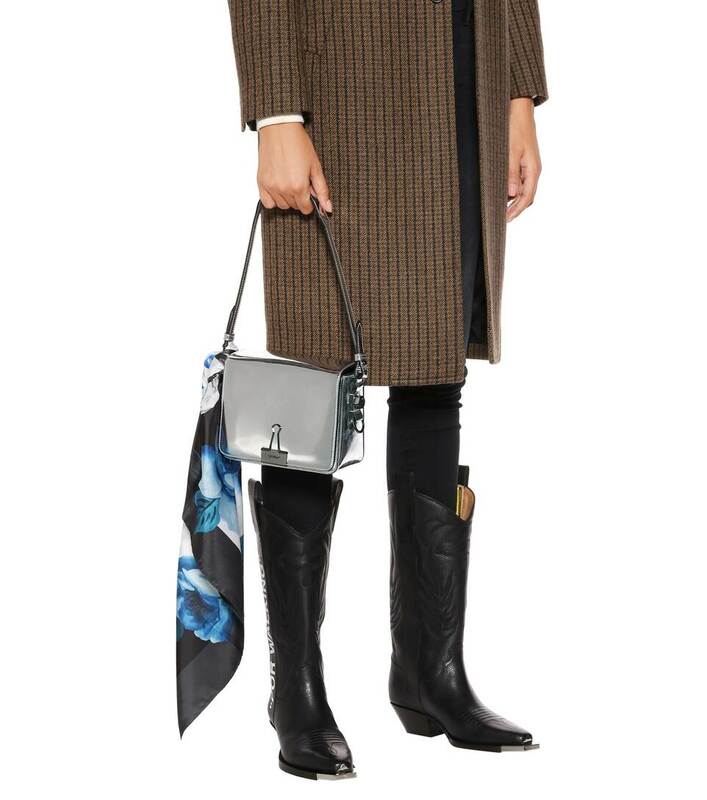 We love to style ours with chic tailoring for an unexpected urban twist, especially styled with its printed silk scarf wrapped around the top handle.